Biogas XPOSE is a five year (2013-2018) project partly financed by the Europan financial instrument LIFE. BIOGAS XPOSE will demonstrate how a region with a high demand for biomethane (BM) can increase the production of BM as a renewable vehicle fuel in an economically and environmentally viable fashion by utilizing regional waste as the resource. 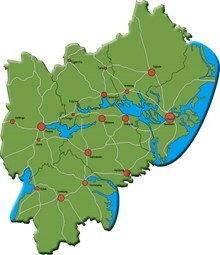 New substrates will be made available by demonstrating and evaluating technical, environmental and economic viability of large scale introduction of the new techniques constantly referred to as important for increased BM production; dry fermentation, methanation of syngas and small-scale upgrading. 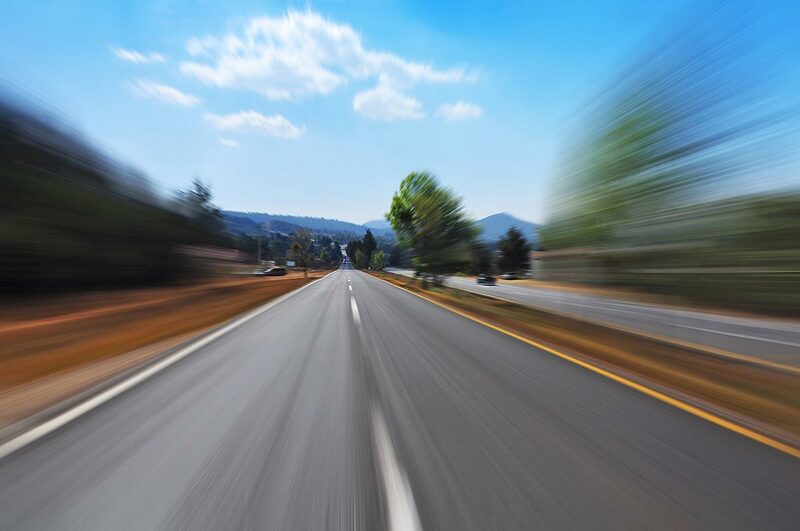 Among other achivements the project aims at reducing the total emissions of carbon dioxide with 400 000 tonnes by sustainable production of BM that replace fossil fuels in the transportation sector. In addition to demonstration of new techniques for biogas production/upgrading will Biogas XPOSE also target the entire biogas life cycle, as well as the complete regional system for bio methane. Efficient ways for logistics, increased use of waste based substrates, as well as recycling of nutrients will be demonstrated and facilitated to attain the most efficient system on all levels. The region also holds lots of successful sites for sate-of-the-art implementation of bio methane as a vehicle fuel. For example extensive use of bio methane in Linköping, successful farm based cooperation plants in Katrineholm and Örebro, successful bio methane production from wastewater treatment plants in Stockholm and an advanced system for waste collection and separation in Eskilstuna. 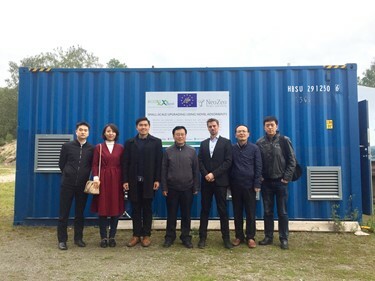 By combining the demonstration of innovative technologies with a variety of successful state-of-the-art examples Biogas XPOSE will provide an exceptional area for demonstration to other EU countries, which will be able to apply the system ´s and technologies best suited for their circumstances. This will help stimulate investments in bio methane and application across the EU. Numerous visits to the demonstration sites are included as a vital part of the project to disseminate the results and enhance the demonstration character of the project. Please check the calendar for upcoming events. Over 80% of the waste-based biogas potential in Sweden lies in substrates with a high content of cellulose and lignin, not suitable for a fermentation process. Gasification is an option for these substrates. Cortus has developed new methods for gasification and methanation in cooperation with Swedish Royal Institute of Technology and Karlsruhe Institute, the so called WoodRoll® process. In Bioogas XPOSE Cortus ´ innovative system for gasification will be completed with the final pieces to demonstrate BM production. Cortus ´ technology will also be tested in a setting without access to a gas grid, which makes it even more unique compared to other plants. All the parts of the pilot plant are beyond current state-of-the art and in XPOSE the whole system will be displayed as part of the maximized biogas region. 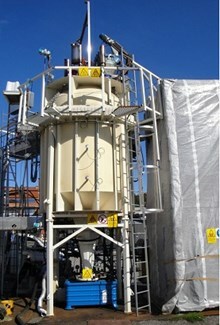 It is part of a unique waste-to-energy system for bio methane sharing the same infrastructure. It will be thoroughly monitored and evaluated. Studies indicate an annual potential of over 4 TWh in Sweden alone using dry fermentation. The main potential for biogas is in the agricultural sector, and according to EEA (2006) the potential from agricultural waste in EU is still largely unexploited. Small-scale biogas upgrading has been pointed out as the solution to this problem, but the available technologies on the market have not yet met all criteria, either they are too expensive or the CNG quality is not met. Through research at Stockholm University, NeoZeo has developed an unique zeolite structured porous material as an innovative volume efficient PSA adsorbent. 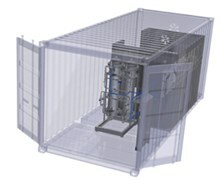 The key innovative step is the ability to develop a light weight, cost efficient small-scale unit for upgrading that can be used in a mobile and modular manner. In Biogas XPOSE the first unit using this innovative technology will be demonstrated.